Short term rent from 22/04/19 Large ensuite room in shared villa. No annoying rental application form, just enjoy ocean breeze. This 30 sqm room is perfect for couple or family. Newly renovated 120 sqm apartment has two ensuite bedrooms. Absolute beachfront accomodation situated in a prime location on Pacific Boulevard. 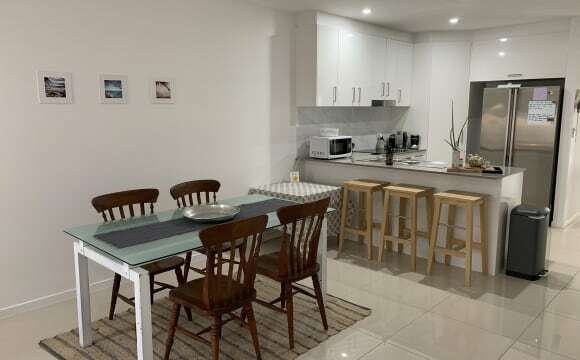 Stunning ocean view, walking distance from patrolled beach, dog off leash area, Kawana Surf Club, kids playground, barbeque area, outdoor gym and Kawana Shopping World. Plenty of car parks in the nearby. - Bedroom has a Queen size bed and sofa bed. - Built in wardrobes - Open living room/dining room kitchen . - Air conditioning - Laundry - Kitchen with appliances - Semi professional gym +A/C - Unlimited WI-FI Internet - LGBT friendly - Smocking alarm - Private entrance - Smart TV - Essentials (includind hairdryer and iron) - Linen for 1 bed is included . Get excited, Right on the beach, pool, gym, restaurant, bar, 24 7 security, this place has everything you could want and more. spacious room with balcony king bed and ensuite with spa bath fully furnished. Join 2 awesome up beat and very active proffesional males, looking for someone else to replace our legend of a flatmate heading overseas. looking for another early riser professional who is a go getter and keeps an active lifestyle. Please send through a quick overveiw of what your interests are, how long you plan on staying in the sunshine coast for , what you do for work and any thing else interesting . A completely renovated new house, very close to USC, needs neat and tidy people (must be comfortable with white leather lounges, white glass furniture, pet-free, 'no shoes' environment). New kitchen, all new appliances, 70" smart TV with voice recognition, Google / YouTube / internet data access, Jamo SB40 Soundbar, 680L guests fridge, queen size beds, continental quilts, unlimited NBN internet (WiFi network - color laser office printer), room is key lockable-outside and privacy lockable-inside (towels, linen, toiletries, washing detergent, etc. - INCLUDED). ROOM 1: Flatmate - USC Student, Korean couple ROOM 2: Available - Queen bedroom (pictured with study desk) ROOM 3: Flatmate - works f/time, Filipino, male NO BOND REQUIRED, Agreement is; 1month in advance - with 1month notice (by either side). Access to salt water swimming pool, billiard/pool room, table tennis room, piano, guest bikes, at 2nd house nearby. Korean/Czech/English/Filipino speaking private home (owner: straight, non smoker, non drinker). INTERNATIONAL GUESTS: deposit to secure accommodation mandatory - you may like to video chat on Skype [call/txt/email] - before securing. Our beachy home is located a few streets back from Marcoola beach the local Surf Club, cafe's, and a local convenience store. Marcoola markets held every Friday night which are 150m away and are a great place for an easy dinner or social outing. Invigorate gym is 5 minutes away, theres also a nice coastal path and board walk not far from our which we use regularly and would have to be the thing we like most about Marcoola - its a great spot to see sunrise or sunset! The room available for rent has a large inbuilt cupboard with shelves and hanging space, as well as above storage - the room comes with floating shelves, bed side table with a lamp and a queen bed (if required I can remove it out for your belongings). We have 2 outdoor areas under cover which we take full advantage of over summer with BBQ's and a few drinks on the weekends. 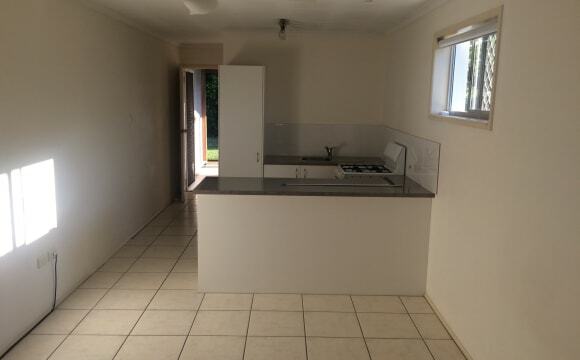 MUDJIMBA Brand new studio apartment is now available for rent at Mudjimba located in cul de sac street. 300m walk to shopping centre, bus stop just around the corner and walking distance to Mudjimba Beach. Partly furnished with double size bed, double sofa bed, kitchenette, fridge, table and chairs. Completely private separate studio including bills, no pets, non-smokers. Includes reasonable use of water, electricity and internet. Looking for a quiet mature single, non smoker. Must be clean and tidy and look after their living environment. Netflix, close to Uni, beach, bus and shops. 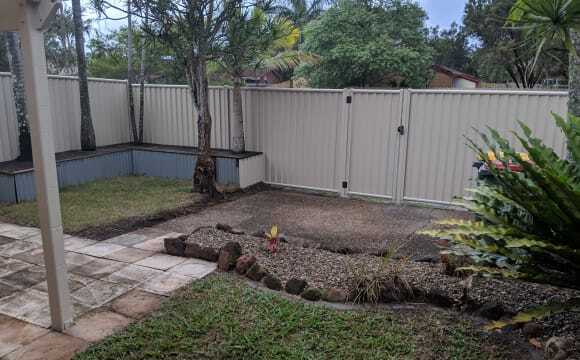 All bills included, Brand new house, quiet new estate, 5 min from USC and 15 min to Mooloolaba. Actual location is Allure Street. The house has a nice terrace and a little garden. 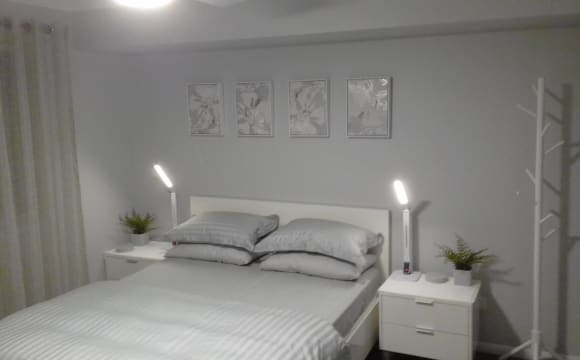 3 bedrooms in total but keeping one of them as an office / guest room (happy for you to use it if you ever have friends/family visiting). Rent includes all bills: electricity, water, unlimited internet, lawn maintenance... Any questions feel free to message me! 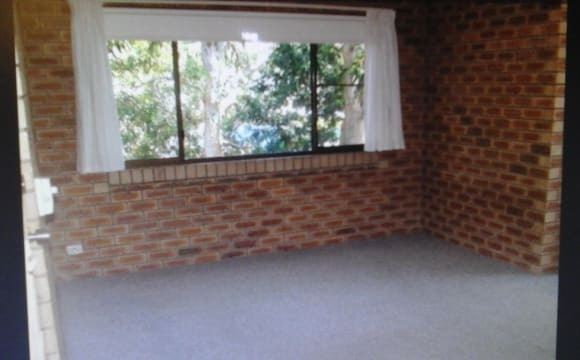 3x3 carpeted room in a 3 bedroom unit. Shared bathroom with female. The unit is top floor in an eastern facing block with in a resort. Full access to a gym, spa, sauna and pool. 100m walk to a beach access. Off street parking. Two covered balconies, one great for entertaining with a bbq and a view. 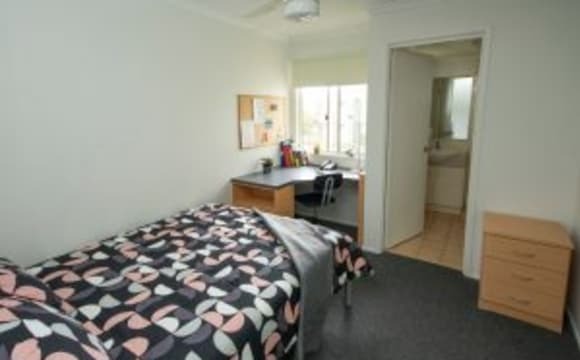 A Studio room to rent in a large beachfront house . Bills are included in the rent . ( Shared unlimited internet if needed ) A special house , with plenty of room for everyone. Salt water pool , I pay the pool cleaning costs Large under cover BBQ area next to the pool . The Studio room is 5m x 4m. You will have the best of both worlds as the studio will fit a TV and a couch , or join in with the house if you like. It has a kitchen , wardrobe and is a very light and pleasant space. The Studio is outside the house , with the bathroom just inside the door . The Studio has a share bathroom with a female house mate . The bathroom is large and has a bath . A new Air conditioner will be installed in November . There is Heaps of trees and nature around the house. Bike paths , shops , bus stop, cafes are very close bye. Looking for a Female , employed and non smoking housemate. I'm Not looking for the first person , I'm looking for the best fit for the house . I own the house so no need to worry about real estates and having to move out . Long term rental , if needed. Beach access path just outside back gate ( photos) . A very quiet safe area , you can hear the waves crashing . If you love the beach , it doesnt get any better than this location. A truely special spot to live . Self contained flat / Converted garage with own kitchen and bathroom 100m from the beach. Close to shops and everything you need! Can be part furnished or bring your own furniture up to you. Will be living next door to two easy going guys (late 20’s) and looking for a respectful person/couple that’s easy to live with. No pets as we already have 2 dogs so must be ok with this. Rent is $290/week plus share in bills for water and electricity. Would be less for a single person and we're also open to that. We don’t have any wifi currently. 2 week rental deposit also required. Available to move in now! Let us know if you’re interested or have any questions! With the Tenancy commencing on or shortly after Tuesday 14th May, I am inviting one only co - tenant to join me, being a total of two occupants in this near new 3 bedroom duplex style home. You will have exclusive use of two bedrooms and the main bathroom. The second bedroom could be utilized by you as a study or for storage etc. You will have use of one of the two garage spaces. No more than two people will occupy the house at any time. You will be required to be a co - tenant on the Lease and pay four week's bond. I have put in a generic address as the actual one is not known at this time, however there are usually a number of suitable properties available for rental in this area. I am fully furnishing the house including one of your bedrooms and the main bedroom. The quality furniture will include new linen, new kitchen appliances etc. I will be responsible for the lawn and garden maintenance. The house will have access to the Rec. Club with free facilities such as gym, 25 m. heated pool and tennis courts. Please contact me if this is of interest. Near to the shops, restaurants, pubs and public transport. 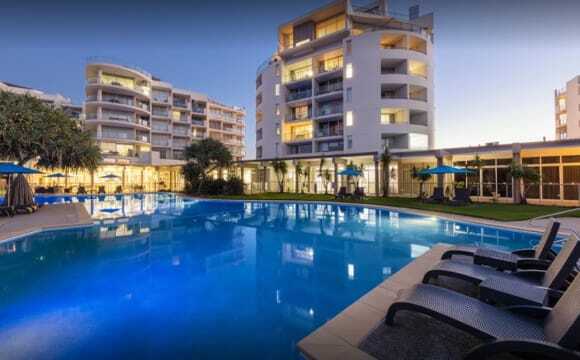 The propery is located in the hub of Mooloolaba and close to Alexandra Headland and major beaches of the Sunshine Coast. The unit is located on the upper level and is configured with two double sized bedrooms, bathroom, separate toilet, open plan living flowing out to east facing balcony, modern kitchen, and single car accommodation. With easy care tiled floors, interior brick feature walls, some ceiling fans, and window furnishings, the units are comfortable and very liveable. The unit is east-facing, light filled with sea breezes circulating throughout. 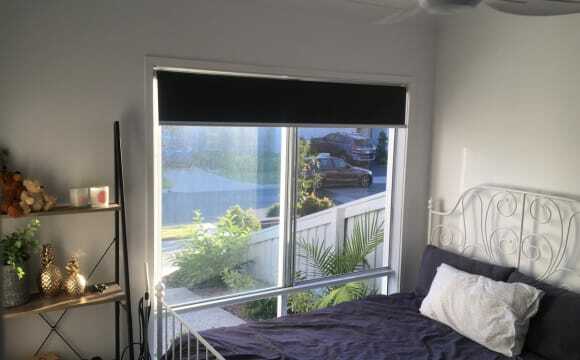 The unit is located directly across the road from the beach. The area very quiet, and mainly patronised by local residents, with neighbourhood traffic only. i The unit is genuinely tucked away, from the hustle and bustle of busier beachside locations. The amenities of Peregian including boutique dining, retail, supermarkets, schools, surf club, sporting facilities, and more are only 5mins away to the south. With Noosa Heads loacted to thenorth approx. 10min away. 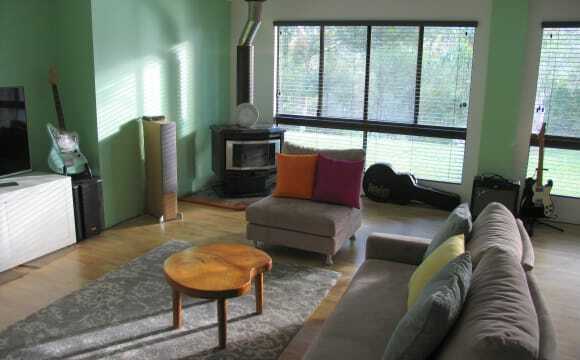 Single accommodation offered for a Boarder in my home situated on a pretty acreage in the northern Sunshine Coast Hinterland. Electricity is included in the rent price. Your private area comprises three spaces: a newly renovated bedroom with an adjoining smaller room/nook, plus an ensuite (shower and vanity basin). You will have quick highway access and are approx. 5min. to Pomona; 7min. to Cooroy; 10 min. to Eumundi and 25 min to Noosa. • No water bills! (we are on tank water) Here is what is on offer: • Your private bedroom (3.5 x 3.7m = 12.95 sq.m) with a clean and comfortable double bed; ceiling fan; large mirrored wardrobe; modern dresser. [BYO bed linen] • Adjoining private smaller room/nook (1.7 x 2.2m = 3.74 sq.m) suitable for a mini study; TV room; storage, etc. • Adjoining private ensuite i.e. a shower-over bath plus a vanity basin with cabinet (2.5 x 2.2m = 5.5 sq.m) • Covered parking in a large roller-doored car shed • Your rooms have their own security locked entrance from the side of the house, a short walk to the car shed • Your rooms have an internal door to the common areas; lockable for privacy • There is a bus-stop right at the bottom of the home’s driveway • You and I will share the common areas of kitchen/dining; 2nd toilet; laundry, and main lounge room. • Oh yeah, you will also share a lovely large (14m long) in-ground pool overlooked by a large timber gazebo! So, if you are interested, please contact me and we can talk further. Email is the best option. Speak to you soon!